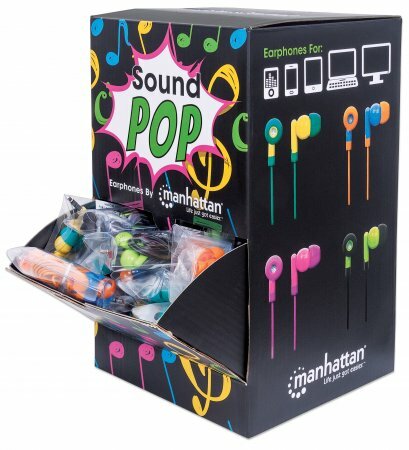 The Manhattan SoundPOP Earphone Countertop Display/Dispenser includes 40 individually packaged earphones in four vibrant colour combinations: teal and yellow, blue and orange, pink and fuchsia, and black and green. 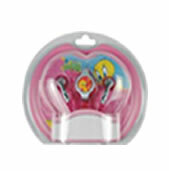 The earphones come with in-ear cushions in three sizes (small, medium and large). 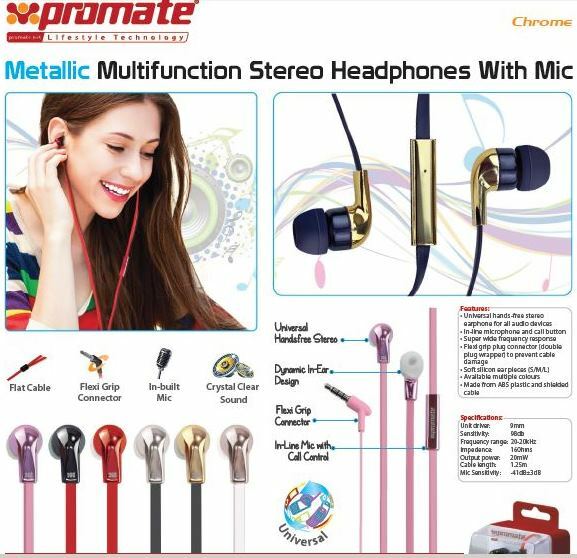 The Promate Chrome Metallic Multifunction Stereo Headphones With Microphone is a designer metallic headphone. 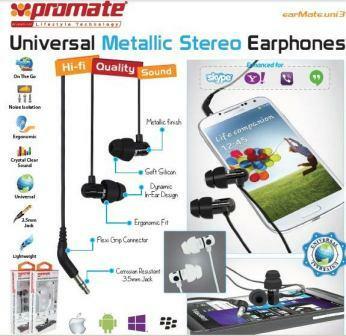 Compatible with every audio device out there. Its unique and dynamic in-Ear design coupled with a flexi-grip plug connector to prevent cable damage, soft silicon ear pieces and a super wide frequency response makes it an ideal choice for any audio connoisseur. 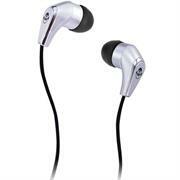 Chrome is available in a in a varied Colour selections to suit any style. response. Ideal for any audio device, the Aurus also comes in a selection or red, white and black to suit your personal preference. 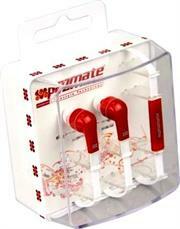 Works with all Mobile phones, Smart Phones, Tablets, Media Players and any device with 3.5 mm audio jack. 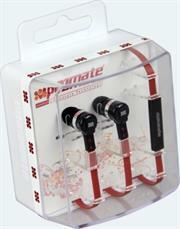 The Promate Aurus is a simple and elegant universal audio earphone set. Compatible with every audio device out there, it has a unique and dynamic in-ear design, a flexi-grip plug connector to prevent cable damage, soft silicon ear pieces and a super wide frequency response. 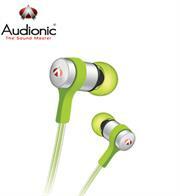 Ideal for any audio device, the Aurus also comes in a selection or red, white and black to suit your personal preference. The Promate Aurus is a simple and elegant universal audio earphone set. Compatible with every audio device out there, it has a unique and dynamic in-ear design, a fl¬exi-grip plug connector to prevent cable damage, soft silicon ear pieces and a super wide frequency response. 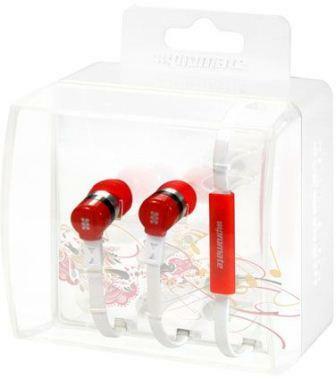 Ideal for any audio device, the Aurus also comes in a selection or red, white and black to suit your personal preference. 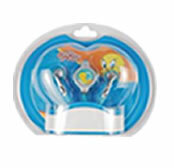 Need an energy boost? Sound Science Nova Sweatproof Earphones power up your day (and your workout) with thumping bass and tight highs that will invigorate your inner batteries and keep you going strong. They have a lightweight, sweatproof design, as well as noise-isolating silicone tips (they come with small, medium and large sizes) that are comfortable and stay firm in your ear during even the most vigorous of activities. 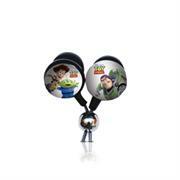 Plus, a slim in-line microphone makes it easy to take calls on the go. The Promate proDyna Universal Flat cable design Stereo Earphone Set with In-built Microphone is a simple and elegant universal audio earphone set. Compatible with every audio device out there, it has a unique and dynamic in-ear design, a specialised flat-cable design to reduce tangled wires, a flexi-grip plug connector to prevent cable damage, soft silicon ear pieces with a super wide frequency response included is a In-cable microphone and call button function , the unit ideal for any audio device to suit your personal preference. 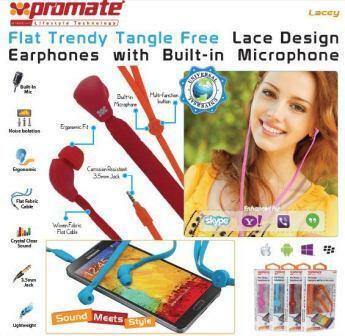 Promate Lacey Flat Trendy Tangle Free Lace Design Earphones with Built-in Microphone-You won’t experience tangled earphone wires ever again with Lacey. With a colorful, flat lace design that is trendy and offers optimal functionality, this premium sound quality earphones with a built-in mic is a perfect match to your music and your fashion sense. Listen easily, be trendy, keep it tangle-free. Just go with Lacey. 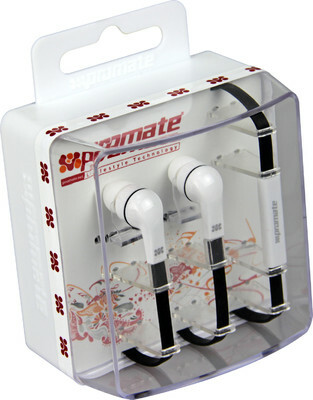 The Promate earMate.uni3 Universal Metallic Stereo Earphones for iPhone, iPod , iPad 2 and New iPad fuses the best audio sound performance with compact practicality. Featuring micro ear pieces and a stylish design with metallic ¬finish, these universal earphones are ideal for listening to any style of audio playback; from spoken word dialogues to the noisiest dance anthems.Although earMate.uni3 is the perfect complement to your iPod, iPad or iPhone, it can be used with just about any MP3 or MP4 player thanks to its practical 3.5mm audio jack. These earphones feature double interchangeable silicone ear buds to ensure that all background interference is removed. Sound is important, but so is style. The transparent cable offers a unique look that really does stand out, giving you the edge over other earphone users. Promate Swank Comfort-Fit Universal In-Ear Headphones -Listening to Music has never been as stylish as with Swank. This in-ear headphone fits snugly and is designed for extensive use. The small, but powerful, audio driver produces a clear, crisp sound. The 1.2metres ( 4 foot) cord includes an in-line microphone and button for accessing call functions. Universally compatible with every audio device, tablet and smartphone available and in various colors and intricate designs makes Swank a must have designer headphone. Manhattan Signature Collection - Splatterball, Designer In-Ear Headphones with Mic - In-Ear Full-Stereo Headphones with In-Line Control, Microphone, Noise-Isolating Silicone Tips, Retail Box, Limited Lifetime Warranty. The Manhattan Signature Collection is a line of designer in-ear headphones created with three things in mind: fantastic sound, fashionable design and living up to your busy lifestyle. These in-ear headphones feature our Splatterball pattern inspired by post-modern design found in the pop-punk fashions of 1980s New York, Los Angeles and London. 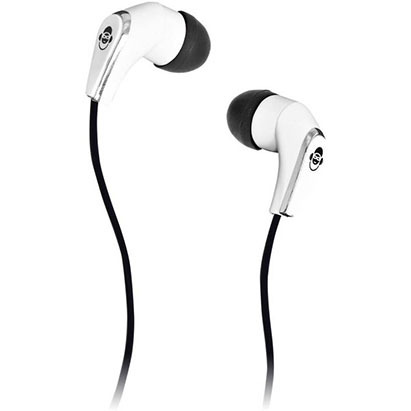 Thirteen-millimeter precision-engineered speakers and noise-canceling silicone tips offer audio so incredibly accurate, you’ll hear every note as if the musician were playing right next to you. 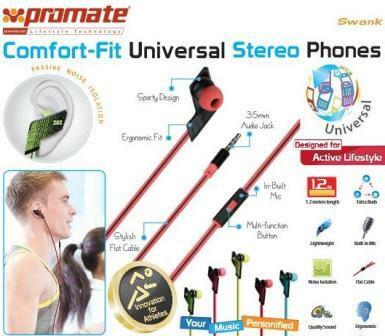 Even better, they have an in-line control and windproof mic so you can control your music and answer calls without touching your device. Ideal for use with smartphones, tablets, MP3 players, notebook computers and other portable devices, the Splatterball In-Ear Headphones are the ideal match for your musical tastes and your unique style. 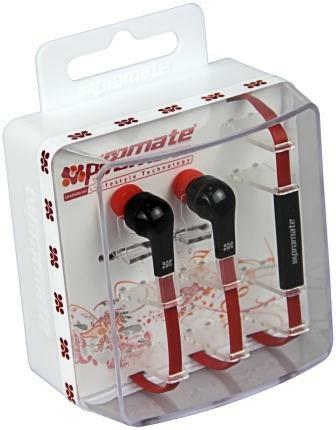 For maximum effect, pair these Signature Collection In-Ear Headphones with our Signature Collection Snapcases for Smartphones and Tablets. 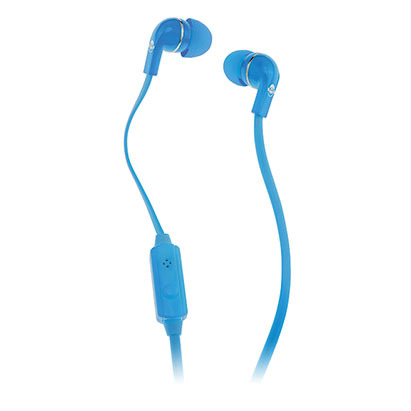 The iDance SLAM are the best earphones you can get.They have extremely good bass, good treble and are pretty good in removing any external noise. SLAM bring you the ultimate DJ Sound experience, Thanks to the DJ voucher included, that lets you download PCDJ software to your MAC and PC. The Toy Story in-ear headphones, featuring the Buzz Lightyear and Sheriff Woody Pride design are great for listening to music, movies or games. 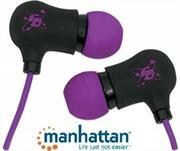 The three different sized ear tips ensure a perfect fit and offer ambient noise reduction.